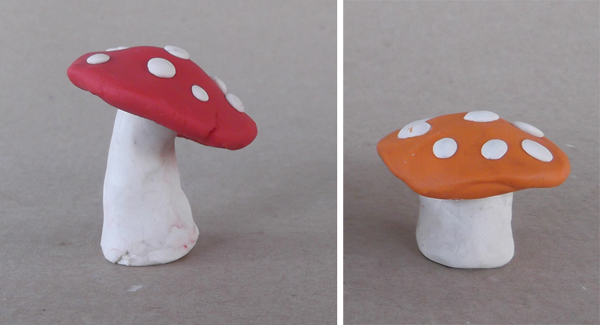 Make a set of cute, small mushrooms using plasticine or other modeling clay. 1. 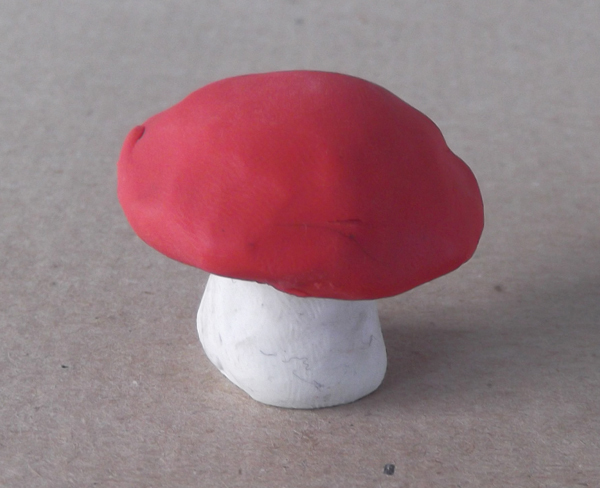 Begin with two colors of clay, for example red and white. 2. Start with the trunk of the mushroom. Scroll with you hand the white plasticine trying to model a tube. 3. Press the tube down to flatten the base. The mushroom's trunk is ready. 4. Take the red piece and model with your hand a sphere. Flatten the sphere making a circular disk. Give it the shape of a plate or bowl. 5. Place the bowl on the top of the trunk and press gently to join them together. 6. 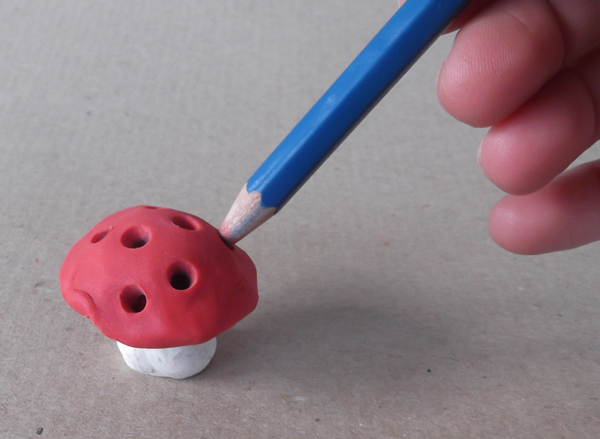 With a pencil make a few holes over the mushrooms' hat. 7. 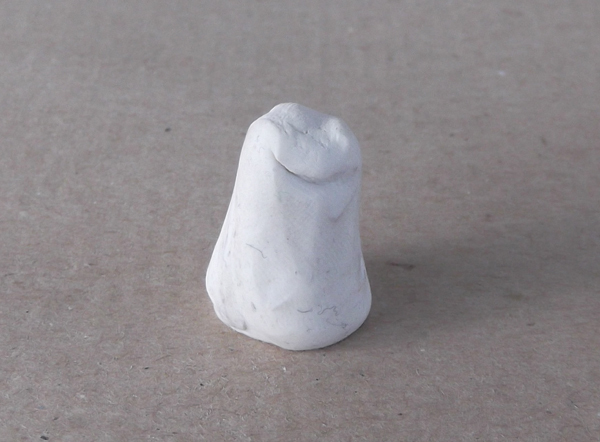 Make small white spheres and press them inside the holes. 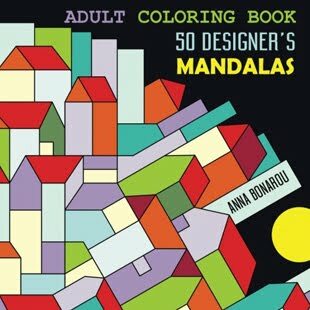 Experiment with different shapes and colors. 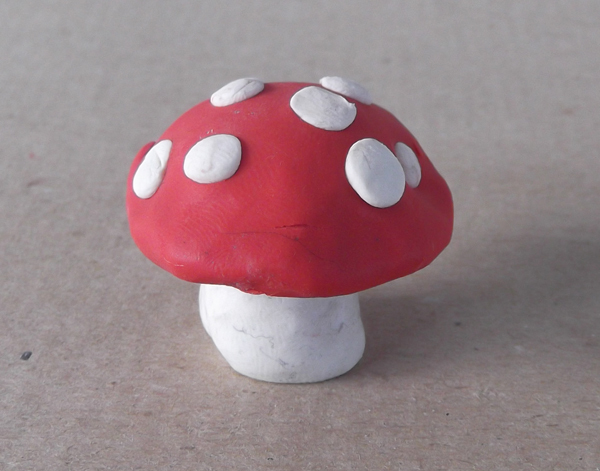 After all, in nature there are dozens of mushroom species.